Another day, another news release in a language I do not understand. Can anyone who is not in a specialized medical field explain to me in a language I can decipher — say English — what the heck the opening sentence in this release is talking about? The word spasticity is the one that’s throwing me off. I assume the the “Dysport® (abobotulinumtoxinA)” is a drug, so with that, my concern is little. However, I’m a little distressed I do not know what spasticity is. Spastic colons? I’ve heard the phrase. It’s along the lines of Irritable Bowel Syndrome, which should not be mistaken for Irritable Editor Syndrome, which so know all about, and from which I do suffer. However, the symptoms are similar. I’ve had back spasms. That’s the one thing LeBron James and I have in common. I don’t have many, but enough to know that they are debilitating … for at least a few minutes. I’ve heard of spastic legs, spastic bladders and spastic personalities. So in doing a little research, I’ve got an idea about lower limb spasticity. Is it similar to Restless Leg Syndrome? When I started writing this column, the only word with “Spaz” in it that popped into my head was the guy with the broken glasses in “Meatballs,” one of my favorite Bill Murray movies. Jack Blum played Spaz. He was kind of a nerd, but he managed to steal the show in a couple scenes. Anyway, the phrase lower limb spasticity got me thinking about the dozens of emails I delete each and every day. I know I’m not the only one inundated with garbage via my email. On my phone I have linked just a few addresses and I delete up to 200 emails a day. At work, I’m guessing the numbers are similar. So at a minimum, I’m deleted 300 emails a day without evening opening them up to see what was in them. At one point in time, someone made the decision to send those emails. So, is there a little guilt about deleting all those important tidbits of news I get every few minutes? Nope. Those mass mailers aren’t getting a very good bang for their buck. Junk mail — snail mail — is a big nuisance. It shows up on my porch daily in the form of flyers, magazines, car insurance quotes, life insurance quotes, coupons, AARP mail and more. That stuff costs money to mail and trees are being cut down to produce the paper that will eventually end in a crumpled ball in the trash can. I have a fear that one day in the future, email will no longer be available to the billions on this planet who use it. Won’t all that garbage fill up the World Wide Web? Americans are getting better at recycling paper and aluminum cans and glass and plastic and tons of other stuff that used to be called refuse. We actually pay people to haul stuff away from our curbs each week. Someone on this great big planet should be able to invent a program that the mass emails generated each day … before a marketing professional pushes the send button. It wouldn’t save me a lot of time, but it would free up a lot of space on my phone and my computer. There should be a law against junk email. Also, can it be recycled? Somebody call former Vice President Al Gore, the inventor of the World Wide Web. Ask him if he has discovered a way to stop junk email, because via extrapolation, he invented email, too. I know Al and others like him worry about their carbon footprint or credits. But what about the very large, very dirty, very boring, very useless internet email address footprint? There has to be one one really large paw out there on the World Wide Web. … somewhere. 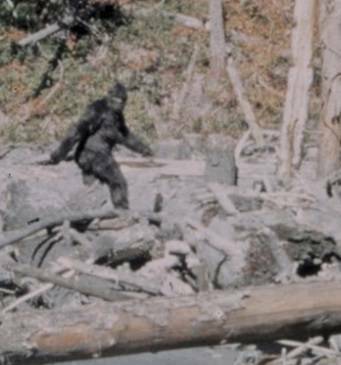 I got an email Sunday that said someone had spotted Bigfoot in Kentucky or Oregon or Canada or Zanesville. Where is not important. The fact that after decades, someone spotted this elusive man-ape and its over-sized is the crucial thing. You scoff. But I read it on the internet. It has to be true. And if they can find Bigfoot’s footprint, they should be able to find this email footprint and work to delete it. But then again, if that happened, there would be a whole bunch of people in Nigeria who’s uncle has $13,657,976 stuck in a bank account in Zimbabwe — and needs my bank account information — to have it released. How would those relatives survive? Russ Kent is editor of the Galion Inquirer, Morrow County Sentinel and Bellville Star. Email him at rkent@civitasmedia.com.